battle3, originally uploaded by jahansell. 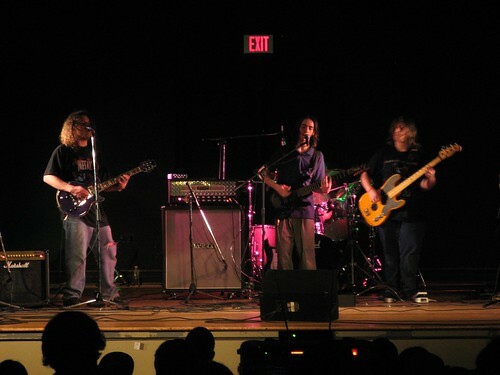 I spent last evening at the local high school watching "Battle of the Bands" -- and I didn't even have a kid in it! Not surprisingly, there were some impressive musicians - what really did surprise me was the quality of the songwriting, especially from a group called Windowbox Failures. (I'm guessing they got the name from one of those random name generators! (I tried it and came up with Dangerous Cucumber, Bizarre Boar and Bisque Feather.) They won second place - both first prize and audience choice awards were given to another excellent band called The Elevator Ladies.